Allison is a Bachelor’s degree nursing graduate from Auburn University in Alabama. She has worked in multiple states as a nurse in a variety of units to include oncology, cardiac stepdown, infusion, orthopedics, and neurology, most recently working in outpatient surgery while she went back for her Master’s degree specializing as a family nurse practitioner. Because of her diverse nursing background, Allison is adept at collaborating with a full medical team including primary care providers and specialists to provide patients with the most comprehensive care possible. 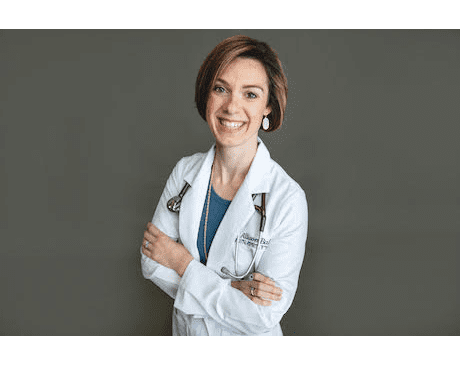 She is board certified with the American Association of Nurse Practitioners (AANP) and is a member of many professional organizations such as AANP, Texas Nurse Practitioners, and Sigma Theta Tau nursing honors society. She is trained in Nexplanon insertion and removal and also in DOT physical exams. Allison loves to care for patients of all ages, especially enjoying working with pediatric patients. Focusing on patient education, her goal is to make sure that your care is explained to you so that you can truly understand your health and be involved in short and long-term goals to help you live your best life possible. Her favorite part of becoming a nurse practitioner is the ability to connect with patients in her community and to contribute to their wellness in a positive way. Allison also loves spending time with her husband and two children. She enjoys cooking, photography, and taking her children to the zoo. They especially love all things Disney and traveling.